Olympus has announced what it says is the first ever macro twin flash with a weatherproof construction: the new STF-8 Macro Flash. This model is, according to Olympus, both splashproof and dustproof with construction that can withstand temperatures as low as -10°C / 14°F. Features include a guide number of 8.5 when both heads fire and of 6 when one head fires, as well as full TTL auto-sync, removable heads, customizable positioning, and manual output control down to 1/128. 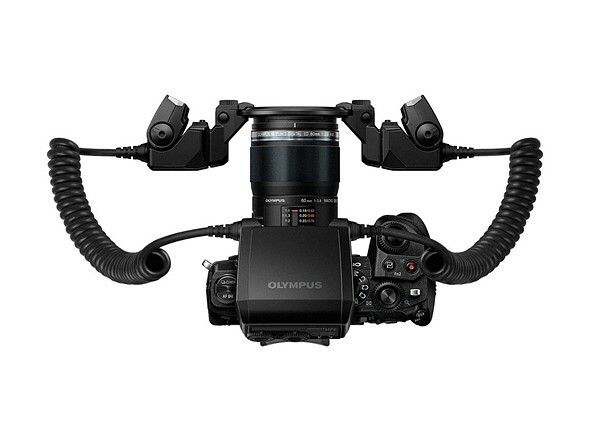 Says Olympus, users can also attach third-party step-up and step-down rings to use other lenses. The STF-8 is available to preorder from some retailers now, including B&H Photo, for $479 / $600 CAD. Shipping will start in January 2017.